Foreign Exchange (FX) trading is a global market that operates 24 hrs a day, 5 days a week and sees approximately $4 Trillion in daily turnover. This means the FX market is highly liquid and offers traders the opportunity to take either long or short positions on currencies with considerably high levels of leverage. When trading FX with Gleneagle Securities, clients benefit from our superior pure agency brokerage service that offers Direct Market Access (DMA) execution and gives access to Tier 1 liquidity through our Electronic Communications Network (ECN). Whether a trader new to FX or a sophisticated client trading on an institutional FX platform, Glenegle Securities can provide you with unmatched trading conditions and experiences. How does FX Trading work? FX Trading has traditionally been Over-the-Counter (OTC). However, technological advances have seen the development of Electronic Communications Networks (ECNs) that give clients access to trade directly with other market participants, removing conflicts of interest between broker-client relations. When an investor buys one currency in the pair, they are effectively selling the other. When reading a Currency Pair, the currency to the left of the slash (/) is the base currency, while the currency to the right is the quote currency. If AUD/USD = 0.7679, this means that 0.7679 USD buys 1.0000 AUD. Currencies are priced to four decimal places. A single unit of the fourth decimal place is referred to as a pip (percentage in point). For example, AUD/USD moves from 0.7679 by 6 pips to 0.7685. Gleneagle Securities is a pure agency brokerage service and provides all clients, regardless of their size, with Direct Market Access through competitive ECN pricing and access to raw ECN spreads. Glenegle Securities provides clients with access to Tier 1 Liquidity sourced from institutional banks including BNP Paribas, Barclays, Deutsche Bank and JP Morgan. When trading Foreign Exchange, clients gain access to a global market that operates around the clock, effectively 24hrs a day, 5 days a week. Foreign Exchange trades can be leveraged significantly and therefore carry more risk when compared to other investment vehicles. While leverage allows traders to benefit from higher returns, it can also lead to losses greater than the initial investment. Foreign Exchange trading is subject to global economic forces that constantly effect the value of currencies. While movements aren’t as sharp as with other investment vehicles, use of high leverage can cause fast movements in trading positions. If the market moves against you or margins increase you may have to provide additional funds at short notice. If you do not, your position may be closed and you will be liable for any resulting loss. Already a Client of Gleneagle? If you are already one of Gleneagle Securities valued clients, click the login button below, follow the prompts to add FX Trading to your list of accounts and start trading! Want to try a Demo Account? Sign up for a free Gleneagle Securities FX Demo account to see our MT4 platform in action and practice trading FX in a risk-free environment. Ready to become a Client of Gleneagle? Eager to start trading FX with Gleneagle Securities? Click the button below to open an account. It’s quick, easy to set up and you’ll be trading in a matter of minutes. How do I place FX trades with Gleneagle? FX trades can be placed via our MT4 trading platform. What is the minimum size for trading FX? 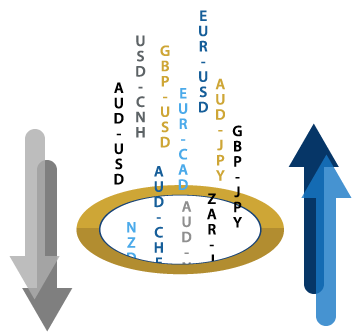 The minimum trading size for FX is 1 micro lot or 1,000 units (0.01 x 1 lot) of base currency. What is the minimum account balance required? US$500 deposit is required to open an account with Gleneagle Securities. There is no minimum requirement to maintain an account. How do I change the leverage in my account? Please contact Gleneagle Securities to modify your account’s leverage. How long do i have to meet a margin call? From the time you receive a margin call notification, you have 24 – 48 hours to deposit additional collateral. During times of rapid market movements, you may be required to provide additional collateral earlier. Should this be the case, Gleneagle Securities will notify you. The information on this website is not intended to be an inducement, offer or solicitation to anyone outside of Australia. Gleneagle Securities (Aust) Pty Ltd, ABN 58 136 930 526, (Gleneagle) holds an Australian Financial Services Licence (AFSL) to carry on financial services business in Australia, limited to the financial services covered by its AFSL No. 337985. Any Information or advice contained on this website is general in nature and has been prepared without taking into account your objectives, financial situation or needs. Before acting on any information or advice on this website, you should consider its appropriateness (and any relevant product) having regard to your circumstances and we strongly recommend that you seek independent financial advice. All financial products involve risk and you should ensure that you understand the risks involved as not all financial products are suitable for everyone. Trading in certain products carries a higher level of risk as you may incur a loss in excess of the amount you originally invested. Past performance of any product described on this website is not a reliable indication of future performance. This Policy may change. We will let you know of any changes to this Policy by posting a notification on our website. Any information collected after an amended privacy statement has been posted on the site, will be subject to that amended privacy statement. If We disclose personal information to overseas recipients—the countries in which such recipients are likely to be located if it is practicable to specify those countries in the policy. We must collect personal information only by lawful and fair means. We must collect your personal information from you unless it is unreasonable or impracticable to do so. For example, if We are unable to contact you and We then rely on publicly available information to update your contact details or if, at your request, We exchange information with your legal or financial advisers or other representatives. We might collect your information when you fill out a form with us (either in hard copy or via our website), when We speak with you on the telephone, used Our website or face to face. We may also verify your information via electronic means, such as email. If We receive personal information that We did not solicit, then within a reasonable period after receiving the information, We must determine whether or not We could have collected the information under Australian Privacy Principle 3 (collection of solicited personal information) if We had solicited the information and We may use or disclose the personal information to make this determination. Then, if We determine that We could not have collected the personal information and the information is not contained in a Commonwealth record, We must, as soon as practicable but only if it is lawful and reasonable to do so, destroy the information or ensure that the information is de-identified. If however this does not apply in relation to the personal information, then Australian Privacy Principles 5 to 13 apply in relation to the information as if We had collected the information by solicitation. We will do all that We can to ensure that the personal information that We collect, use and disclose is accurate, up-to-date, complete and relevant. When We receive personal information from you directly, We will take reasonable steps to notify you how and why we collected your information, who We may disclose it to and outline how you can access it, seek correction of it or make a complaint. We may collect information about you because We are required or authorised by law to collect it. There are laws that affect Us, including company and tax law, which require Us to collect personal information. For example, We require personal information to verify your identity under the Anti-Money Laundering and Counter-Terrorism Commonwealth law. We reasonably believe that the use or disclosure of the information is reasonably necessary for one or more enforcement related activities conducted by, or on behalf of, an enforcement body (and, if We use or disclose personal information in accordance with this point, We must make a written note of the use or disclosure.). If We collect personal information from any of our related bodies corporate, this principle applies as if Our primary purpose for the collection of the information were the primary purpose for any of our related bodies corporate collected the information. This principle does not apply to the use or disclosure by Us of personal information for the purpose of direct marketing or government related identifiers. If We hold personal information about an individual, We must not use or disclose the information for the purpose of direct marketing, unless We collected the information from the individual and the individual would reasonably expect Us to use or disclose the information for that purpose, and We provide a simple means by which the individual may easily request not to receive direct marketing communications from Us and the individual has not made such a request to Us. We may also use or disclose personal information about an individual for the purpose of direct marketing if We collected the information from the individual and the individual would not reasonably expect Us to use or disclose the information for that purpose or someone other than the individual and either the individual has consented to the use or disclosure of the information for that purpose, or it is impracticable to obtain that consent, and We provide a simple means by which the individual may easily request not to receive direct marketing communications from Us, and in each direct marketing communication with the individual, We include a prominent statement that the individual may make such a request, or We otherwise draw the individual’s attention to the fact that the individual may make such a request and the individual has not made such a request from Us. If you have general enquiry type questions, you can choose to do this anonymously or use a pseudonym. We might not always be able to interact with you this way however as we are often governed by strict regulations that require us to know who We are dealing with. In general, We will not be able to deal with you anonymously or where you are using a pseudonym when it is impracticable or we are required or authorised by law or a court/tribunal order to deal with you personally. If we cannot provide your information in the way you have requested, we will tell you why in writing. If you have concerns, you can complain by contacting us on +612 8277 6675 or you can send us an email to compliance@gleneagle.com.au. If you believe that is something wrong with the information, for example if you think that the information We hold is inaccurate, out of date, incomplete, irrelevant or misleading, please download the Change of Details Request Form and send the completed form to accounts@gleneagle.com.au so we can update your details. You can ask us to access your personal information that We hold by sending us an email to accounts@gleneagle.com.au. We will give you access to your information in the form you want it where it is reasonable and practical to do so. We may charge you a small fee to cover our costs when giving you access, but We will always notify you of this first and this fee will not relate to you making a request for your information, only to give you access to the information. We are required to help you ask for the information to be corrected if We cannot correct this for you. Accordingly, We may need to talk to third parties. However, the most efficient way for you to make a correction request is to send it to the organisation which you believe made the mistake. If We are able to correct the information, We will notify you within five business days of deciding to do this. We will also notify the relevant third parties as well as any others you notify Us about. If there are any instances where We cannot do this, then We will notify you in writing. If We are unable to correct your information, We will explain why in writing within five business days of making this decision. If We cannot resolve this with you internally, you are able to make a complaint via our external dispute resolution scheme, by contacting the Financial Services Ombudsman (FOS) or the Office of the Australian Information Commissioner (OAIC). If We agree to correct your information, we will do so within 30 days from when you asked us, or a longer period as agreed between US and you. If We are unable to make corrections within a 30 day time frame or the agreed time frame, We must notify you of the delay, the reasons for it and when we expect to resolve the matter, ask you to agree in writing to give us more time and let you know you can complain to FOS or OAIC. If an individual feels that We have breached our obligations in the handling, use or disclosure of their personal information, they may raise a complaint. We encourage individuals to discuss the situation with one of Our representatives in the first instance, before making a complaint. When investigating a complaint, the OAIC will initially attempt to conciliate the complaint, before considering the exercise of other complaint resolution powers. We may need to share some of your information with organisations outside Australia. For example, when We open an account for you we will generally need to share your details with one or more of the entities in CIMB Group, which is based in Asia and operates in Malaysia, Indonesia, Singapore and Thailand. We may store your information in cloud or other types of networked or electronic storage. As electronic or networked storage can be accessed from various countries via an internet connection, it is not always practicable to know in which country your information may be held. If your information is stored in this way, disclosures may occur in countries other than those listed. Overseas organisations may be required to disclose information We share with them under a foreign law. In those instances, We will not be responsible for that disclosure. Sometimes We may be required to collect government-related identifiers such as your tax file number. We will not use or disclose this information unless We are authorised or required to do so by law or the use or disclosure of the identifier is reasonably necessary for Us to verify your identity for the purposes of Our business activities or functions.